This trophy hunting, timber, and possible irrigated farming investment in Alabama's renowned Black Belt is located north of Hwy 80 near Tyler, just 8 miles east of Selma. On top of possessing the scenic beauty of a farm that most are seeking, there are at least 4 connections in place see pictures to what appears to be an irrigation system that serviced the 140-160 acres previously in agriculture. The adjoining farm to the north is under pivot irrigation using multiple 500ft deep wells, and it is likely to be the same case on this tract. 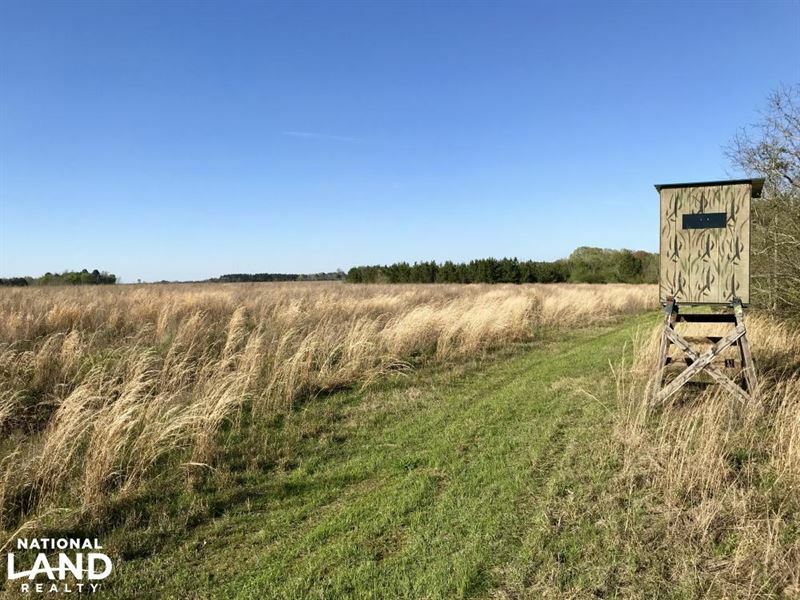 Enjoy an established camp site with power along the road frontage on CR 461 and 5 food plots for hunting the monster bucks this area is well known for. This area has abundant turkey, tremendous dove hunting, ducks, and quail. There are several potential sites for fishing lakes or flood controlled duck ponds. The pine plantation, much of it bedded, includes 95+/- acres of 5-6 year old loblolly plantation and 83+/- acres of 1 year old loblolly plantation. The balance of the timber consists of hardwood hammocks and an area of 28 year old pine. Tracts like this don't come along often. Contact at to see it before it's gone.